Situated at just 2Kms distance from Bund Garden in Yerwada, Aga Khan Palace is an ancient monument featuring Italian arches and spacious lawns. This building compromises of five halls. It is spread over an area of 19 acres, out of which approximately 7 acres is the built-up area. The magnificent and picturesque beauty of this palace often leaves visitors awestruck. It was built during the rule of Sultan Mohammad Shah Aga Khan for helping the famine affected people. This place does not look like it used to be in early days because before the Independence of our country it was used as a prison. Famous personalities such as Mahatma Gandhi, Kasturba Gandhi, Dr. Sarojini Naidu, Shri MahadeoBhai Desai, Meera Ben and others were kept under imprisonment in this palace during the Quit India Movement in 1942. A statue of the Mahatma Gandhi stands tall here. Apart from this, one can also find here commonly used items by Mahatma Gandhi such as clothes, writing desk and footwear. This palace is visited by a large number of visitors throughout the year. 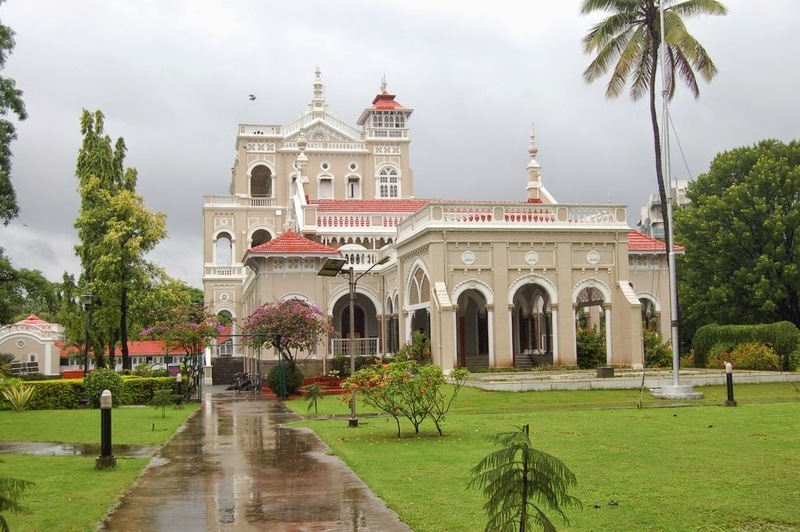 On your visit to this palace, you should research about your stay in Pune. Accommodation is Pune is usually affordable, but if you’re not well-informed, then you might end up shelling out extra sum on this aspect. Omkareshwar temple of Pune is an ancient Parvati temple. This temple is widely revered for its extraordinary construction and extravagant style. The temple dates back to approximately 250 years from now. The exotic view with its column & architectural design makes this temple a unique experience. The white dome of the Omkareshwar temple of Pune is made of soft soap stone. Omkareshwar is one of the many names people have bestowed to Lord Shiva who is one of the three main deities in Hindu mythology (Brahma, Vishnu & Mahesh). According to a popular myth, Lord Shiva had to drink a tumbler full of poison for saving the plight of mankind. This is one of the reasons why the Lord Shiva has extremely high position in the Hindu Mythology. This religious place consists of two renowned ‘Shivalayas’ namely Amruteshwar & Omkareshwar Shivalayas. The literal meaning of Shivalaya is an abode of Lord Shiva. In these Shivalayas one can definitely come across a Shiva Lingam, which is worshipped by the devotees for their prosperity. If you intend to know more about the Lord Shiva, then you should definitely travel to Pune and visit this holy shrine. Additionally, if you are visiting here for first time, then you can research about Pune hotels in order to make your stay comfortable.